Cao Deambrosio is Managing Partner and Co-Founder of Seamax Capital Management LLC. He has over 25 years of experience in the transportation and financial services sectors. Prior to founding Seamax, Mr. Deambrosio worked for GE Capital for 15 years, where he held senior leadership roles as the Head of Mergers & Acquisitions and Head of Shipping in GE Capital's Transportation Finance division. 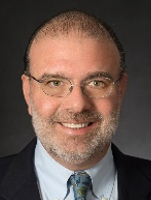 Mr. Deambrosio previously worked for Booz Allen & Hamilton as a Senior Associate on the Transportation Team and for Manufacturers Hanover Trust Company as an Associate in the Global Shipping Group. Mr. Deambrosio received a B.A. in Economics from Boston University.